Thank you for your interest in the 2018 Children’s Music Competition. The excitement builds as the competition day nears. The registration process is complete and we have more than 130 participants. The age categories and reporting times have been finalized and given below. In an effort to reduce waiting times for the children and make it more convenient for parents. We have again staggered the reporting times. Please select the category for your child based on age and instrument and note down the reporting time for that group. Be sure to arrive 5 minutes before the reporting time and check it at the desk. Breakfast and lunch will be available for purchase on a first come basis while quantities last. The competition will be held on Saturday, March 24th, 2018. Children between ages 5 and 11 may present a geetham, varnam, swarajathi or other song and will be given four minutes each. Registration will begin on January 1st, 2018. 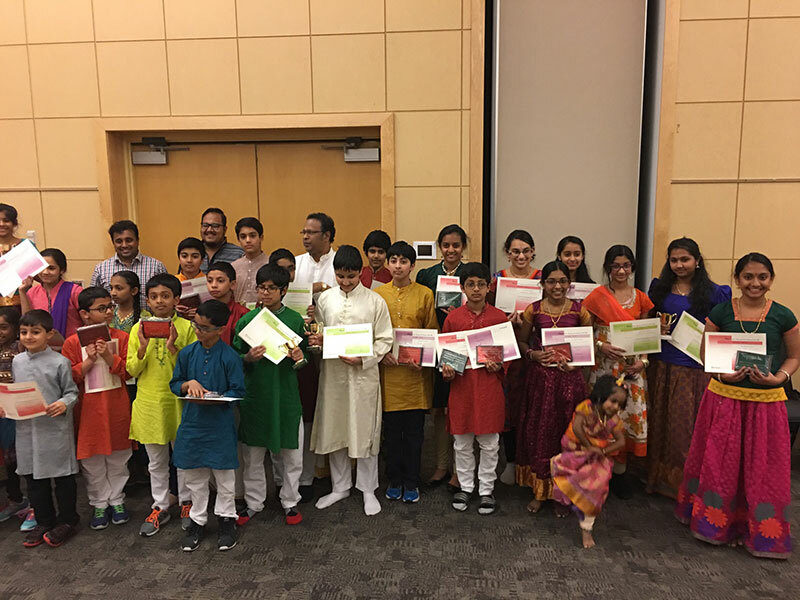 The registration fee will be waived for 2018 Patrons and Benefactors of Dhvani who have paid 2018 membership on or before the registration deadline. To participate you should register on line and pay the registration fee on or before the deadline of March 1st 2018. The arrival time for each category will be posted on the Dhvani website and Facebook page on or before March 17th. Be sure to verify and know your check in time. Check in time for the first half will be 8:30 AM and the second half will be 10:30 AM. Registration Deadline is at midnight on March 1st 2018. Age categories and arrival times will be posted on the website by March 17th. In order to participate you must pay your registration fee or your annual membership on or before March 1st 2018. Check the website on March 17th to confirm your age category and your arrival time. 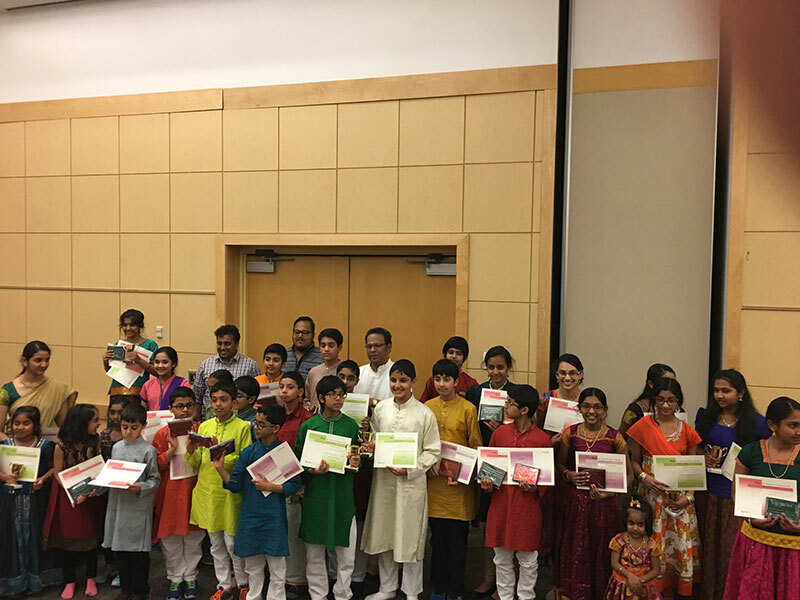 We congratulate all the 2018 participants, thank the judges and volunteers, and felicitate the winners of the 2018 S.Tyagaraja Rao Memorial Childrens’ Music Competition.